nightcapd said to aintneverhadfriendslikeus: On a completely unrelated note, if you had a Stand (not that you need one!) what would it be/do? This one directed more at Twi, Pinks and RD because they are more likely to know what I'm talking about *kofkofmanga*. 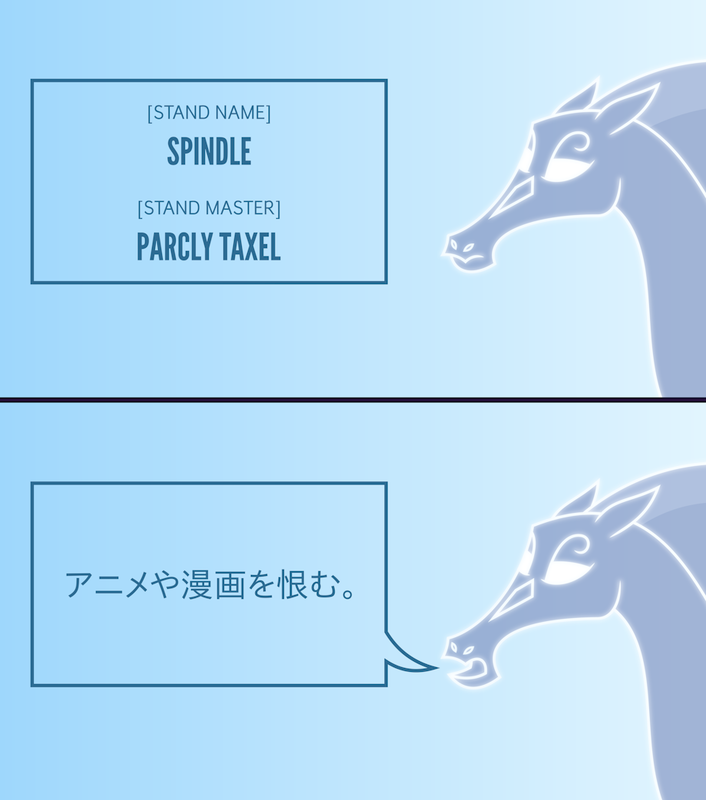 Spindle: Yes, I know Japanese and I taught it to Parcly. After my transformation into a windigo, the first place I travelled to was Japan, where I was immediately revered as a yuki-onna (雪女). Seeing as I wasn’t that violent, they struck up conversations everywhere I went, and I learned the language from them. I never quite found this until now...huh!